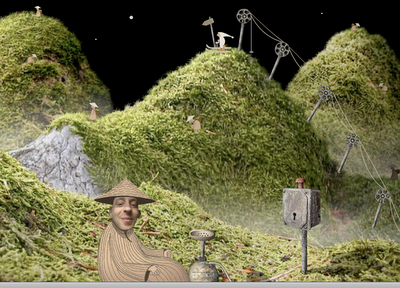 The object of Samorost 1 is to avert a collision between the gnome’s home planet and a large incoming spaceship. To do this, he must explore the space ship. Interestingly enough, this is accomplished by simply pointing and clicking until you figure out how to progress. There is a sequel–Samorost 2–that has won several awards, including (according to Wikipedia) a 2007 Webby; Independent Games Festival award 2007 for Best Web Browser Game; Best Web-Work Award at the Seoul Net Festival in 2006. The soundtrack won the Original Sound category at the Flashforward Film Festival 2006. You can play it online for a fee (though the first part is free).